Between 8th to 10th October, Immigration officers will meet and provide immigration information to those individuals who have overstayed their visas at Hay, Griffith and Hillston in south-west NSW. A spokesman of DIBP (Department of Immigration and Border Protection) said that the CSRS (Community Status Resolution Service) outreach program allows people who are on a Bridging Visa or without a valid Australian Visa in regional communities. This provides them with an opportunity to talk with immigration officers about specific issues they may be facing. The spokesman said that at appropriate places, the Immigration Officers will also be capable of granting a short-term bridging visa to individuals while they work through their matter of immigration. He insisted that the department is committed to ensuring the integrity of Australia’s visa and migration programs and people should have a valid visa to stay in the country. In April, this year, Immigration officers visited Griffith to conduct seminars explaining new penalties and laws for referring or employing people who are not allowed to work. Between 9:30 AM to 4:30 PM on 8th October, individual appointments will be available with the CSRS at the Hay Library at 204 Lachlan Street, Hay. At Hillston Library, the appointments will be available on 9th October between 9:30 AM to 4:30 PM and at Griffith Library, on 10th October between 9:30 AM to 4:30 PM. People can either walk-in or book an appointment by giving a call to the CSRS. 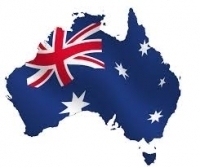 For more information on Australia follow us on Facebook.